Good Omen: I have always believed in omens. Hear a George Strait song on the radio driving to the park ... you know it’s going to be a grrr-eat day. Of course, they don’t really have country stations any more so you need XM radio. Watching Sportsnet there is Bob McCown and Mike ‘Pinball’ Clemons discussing the life and times of Muhammad Ali before the funeral possession makes its way through Louisville. Listening to Pinball you KNOW it is going to be a great day. 10:20 AM Saaaad news: Martine Gaillard (St. Brieux, Sask.) breaks news that Mr. Hockey, Gordie Howe (Floral, Sask.) has passed. This is not going to be a good day. First Ali, then Howe. Don’t people always say deaths come in threes. I have two Gordie Howe stories both from late in his career. Once playing with Houston in the WHA an opposing player was on top of his son leveling a beating. Howe removed his glove, stuck two fingers inside the attacker’s nose and lifted him off his son. End of fight. The other one was at a University of Ottawa hockey get together where some know it all said that players with Washington were allowing “old man Howe” to take the puck down the boards as a courtesy. My boss, Eddie MacCabe was a friend of Howe’s. He asked “you mean to tell me that some rookie is going to let Gordie Howe go by him and risk getting sent back to the AHL?” When the guy said yes I thought MacCabe would pop him. Whatever, Gaillard, the small-town Saskatchewan woman handled the news of the death of a small-town hero from Saskatchewan with professionalism. May all your omens be good ones as rounds 3-through-10 continue this afternoon. 11:44 Add two in the first 200: RHP Cal Quantrill (Port Hope, Ont.) of Stanford University went third overall and C Andrew Yerzy (Toronto, Ont.) of the Toronto Mets went 19th overall on the all-time list of Canadians to be selected in the top 200 all-time list. 12:02 PM More hardware for LeBlanc: SS Charles LeBlanc (Laval, Que.) of the Pitt Panthers earned National Collegiate Baseball Writers of America District Player of the Year honor for District I. LeBlanc earned the first ACC batting title in Pittsburgh history, hitting .405 in 49 games. That mark currently ranks 10th nationally and is the highest by an ACC player since 2009. The Laval, Quebec native also was the first Panther to garner All-ACC first team honors after driving in 46 runs, scoring 45 and notching a .494 on-base percentage in 2016. Thanks to Bo Carter, baseball’s best P.R. man of Carrollton, Tex. for sending along the news. Bo knows sports. Besides baseball -- he was a fixture each spring at the Big East-Big Ten Challenge in Clearwater -- he covered the Allen Americans-Wheeling Nailers ECHL title game for the Texas Sports Daily and is with the National Football Foundation. 12:32 Rare hotbed: Jays selection of RHP T.J. Zeuch, 21st overall, from the Pitt Panthers, was the first first round talent from Pitt University since 1981. The Texas Rangers chose RHP Al Lachowicz 24th overall in 1981. Lachowicz appeared in two games with the 1983 Rangers going 0-1 with 2.25 ERA in eight innings. 1:01 Blue Jays all-time first picks: From the opening year of the franchise when they selected Tom Goffena, who never climbed higher than class-A Dunedin one of 20 yet to make the majors, although it is too early to expect players from the last few years. Who are the best five ever? I’ve got Halladay, Carpenter, Green, Wells and Rios. 1:14 More Mets News: John Jepson of the Toronto Mets Baseball Club resigned effective June 16th, 2016 after many years of service pursuing opportunities closer to his new home in Niagara on the Lake. Jepson co-founded the Mets in 2004 and has been an part since. From 2004 to 2014, he handled the administrative and business affairs then moving into vice president of communications. He if a former Chairman of the PBLO, TBA board of director, business manager for the Ontario Youth Team and mentor to his PBLO commission/czar replacement Don Campbell (Ottawa, Ont.). This spring Conor Panas, a Mets alumni, had a big day against the Canadian National Junior Team. He said he was happy to do so in front of former Mets coaches and executives. “John Jepson was down the left field line a few days ago, but I didn’t get the chance to get over and say hello,” Panas said. Aaron Caputo of the Mets said in a statement: For over a decade, John has been synonymous with the Mets, and has very much personified the values that the club has always abided by. His dedication, wisdom, advice, and overall passion will be sorely missed both within the organization and in the greater baseball community in Ontario. So John: Thank you for everything you’ve done for the organization, we wouldn’t be where we are today without you. We are sad to see you go, but we wish you all the best in whatever future endeavour you choose to pursue. 1:30 Thursday night leftover: Baseball America’s John Manuel gave plenty of praise to Santa Clara pitching coach Gabe Ribas for the development of the Mitchell White, the Santa Clara RHP who went in the second round to the Los Angeles Dodgers. Ribas pitched for Paul Aucoin’s Brantford Red Sox. 1:52 Oldie by a Goodie: RHP Cal Quantrill appeared in a Stanford commercial last season. Don’t ya dare miss it. 1:59 Been there, done that: The Jays selected RHP Zach Jackson an Arkansas reliever with their third round pick. J.P. Ricciardi made LHP Zach Jackson from Texas A&M University a first rounder (32nd over all) in 2004. When he was at triple-A, Jackson was dealt with Dave Bush and Gabe Gross to the Milwaukee Brewers for Lyle Overbay and Ty Taubenheim at the winter meetings in 2008. He appeared in 10 games with the Brewers and 12 with the Cleveland Indians. The new Jackson was 3-4 with a 5.09 ERA and four saves in 18 games making five starts. He had 40 walks and 66 strikeouts in 53 innings. Christian Kowalchuk (Saskatoon, Sask.) is on the Razorbacks staff as a volunteer assistant after pitching there. 2:23 Fill your hat: Canada’s Team three rounds in is ... the Arizona Diamondbacks. Arizona’s Doug Mathieson was able to scoop Andrew Yerzy (Toronto, Ont.) of the Toronto Mets in the second round and now in the third round he has grabbed 6-foot-6 RHP Curtis Taylor (Port Coquitlam, BC) from the University of British Columbia Thunderbirds. He struck out the side in Safeco in his one inning of work at a pre-draft workout and was impressive in Phoenix as well. He and Yerzy were at the same work out, along with RHP Jake Polancic (Langley, BC). Was 9-4 in 15 starts with a 1.96 ERA walking 22 with 113 strikeouts in 91 1/3 innings. 2:29 Rangers selected Panther: INF Charles LeBlanc (Laval, Ont.) was chhosen in the fourth round by the Texas Rangers from the Pitt Panthers where he won the ACC batting title. See 12:02 PM. Scouts see a move in Leblanc's future, but worry about power at third. Brian Matthews was the area scout. Scout says: "Some say he will have to move, but I believe Leblanc can play short.. He's pretty solid defensively. He hit over .400 in the ACC playing at 19 most of the season and that's pretty impressive. 3:05 Can Yerzy catch? Will the Diamondbacks keep Andrew Yerzy behind the plate or move the Toronto Mets second round selection to first base? That was the topic on MLB Network. Jim Callis of MLB Pipeline answered how well Yerzy hit at Wrigley Field last year and pointed out how both Justin Morneau and Joey Votto were drafted as catchers. "I'll go down that road with a Canadian catcher," said Calls. Twins make an impression: As expected RHP Jordan Balazovic (Mississauga, Ont.) 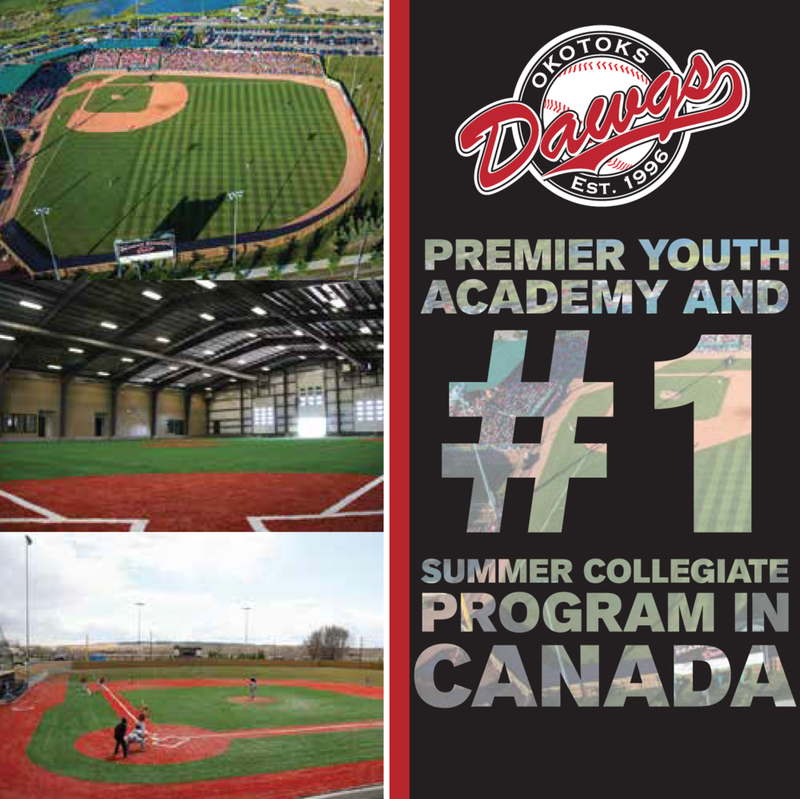 of the Ontario Blue Jays and the Canadian Junior National Team was the top high school arm in Canada. He went fifth over-all behind college pitchers and position players. And Balazovic went to a place where Canucks have always felt at home: the Minnesota Twins. Walt Burrows was the Canadian scouting director of the MLB Scouting Bureau for years. This year as the Bureau went more to video and away from scouting Twins GM Terry Ryan hired Burrows. Rather than working for 30 teams Burrows drafted Balazovic with his first pick working for the Twins. He was 153rd over-all ... the same spot Jason Dickson (Chatham, NB) went in 1994 when he joined the Anaheim Angels organization from Northeastern Oklahoma A&M Jr. College. 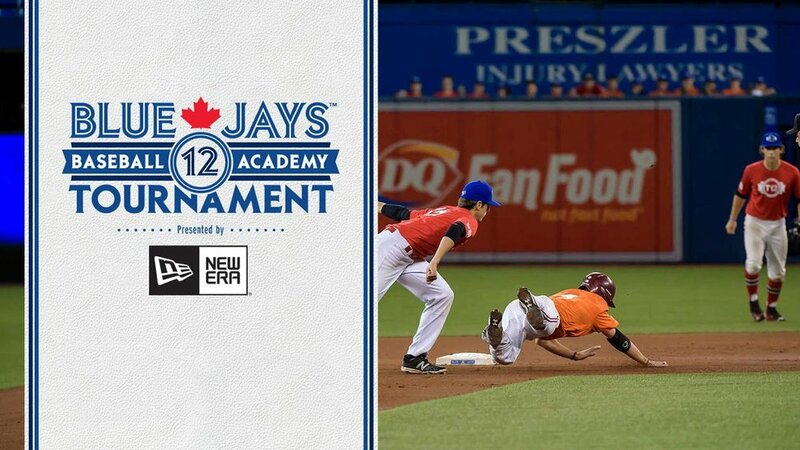 And four picks later ... all heck broke loose at the Canadian Baseball Network headquarters. We had detailed reports of the top 15 and many others who had been in the top 15. However, the Houston Astros chose Abraham Toro-Hernandez (Greenfield Park, Que.) from Seminole State College in the fifth round. It was like the Orioles rallying to score five runs in the bottom of the ninth against Duane Ward and Tom Henke. Re-write as quickly as possible. Toro-Hernandez played third base this year, but can throw 92 mph off the mound and could have future as catcher. The switch-hitter is a Canadian whose family is Venezuelan. He speaks English, French & Spanish. 5:06 The Maple Hammer: The Detroit Tigers get into the game selecting OF Jacob Robson (Windsor, Ont.) from Mississippi State Bulldogs. He hit .335 in 48 games with six doubles, four triples, a homer and 24 RBIs with an .860 OPS plus 18-for-20 stealing bases. Jim Callis of MLB.Pipeline said he was surprised that Robson lasted so long. 5:39 BC as in Best in Country: The Cincinnati Reds grabbed the University of British Columbia’s senior starter RHP Alex Webb in the ninth round. Bill Byckowski who filled his hat a year ago with four picks grabbed Webb, who went 10-1 with a 1.38 ERA in 15 starts. He issued 15 walks, while fannning 115 in 104 1/3 innings as he held opponents to a .154 average. He earned second team NAIA All-American and won CoSIDA Academic All-American Team, earned CoSIDA Player of the Year and NAIA Academic All-American Player of the Year with 3.75 GPA in Electrical Engineering. 5:49 Tabbies add a second Canuck: Detroit drafted SS Daniel Pinero (Toronto, Ont.) of the defending College World Series Virginia Cavileers in the ninth round. Hit .340 with 20 doubles, a triple, four homers and 39 RBIs. The former Ontario Blue Jay ad an OPS of .941, while going 5-for-11 in stealing bases. Teams: Diamondbacks 2, Tigers 2, Astros 1, Padres 1, Rangers 1, Reds 1, Twins 1. Provinces: Ontario 5, British Columbia 2, Quebec 2, .